I used the Trilogy Rosehip Oil Antioxidant+, Cream Cleanser, Rosapene Night Cream and Everything Balm. 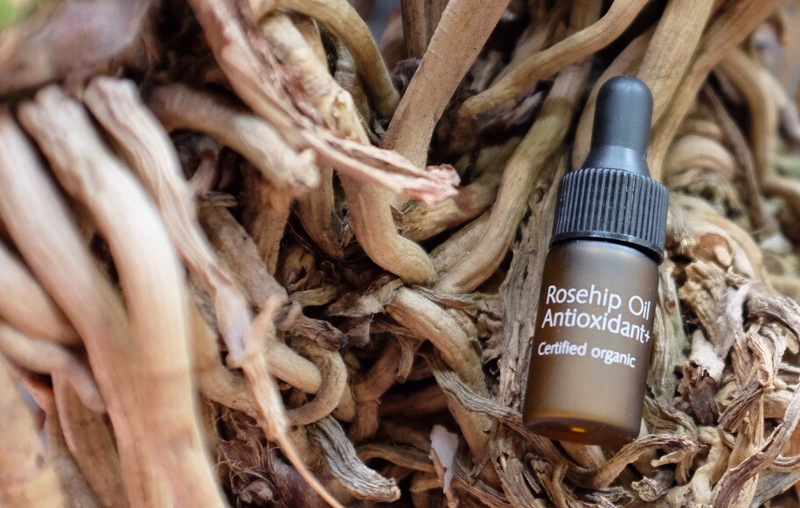 The Trilogy Rosehip Oil Antioxidant+ has been previously reviewed at Female Daily. This oil is lightweight, but not the lightest in the market. I’ve recommended this to so many people especially those with dehydration, dry patches, sensitivity and acne problem. It helps to rehydrate your skin and clear out the scars. I usually apply this as a serum, by mixing it with a little bit of Avene Thermal Water to thin it down. The combination of water and oil seal down everything nicely and it works better as well. One thing about this oil is that it doesn’t have the nicest smell but I didn’t found it to be something significant. Next one is the Trilogy Rosapene Night Cream which is a light cream and it works well together with the oil. It sort of mattifies the oil and tone down the greasy feel. 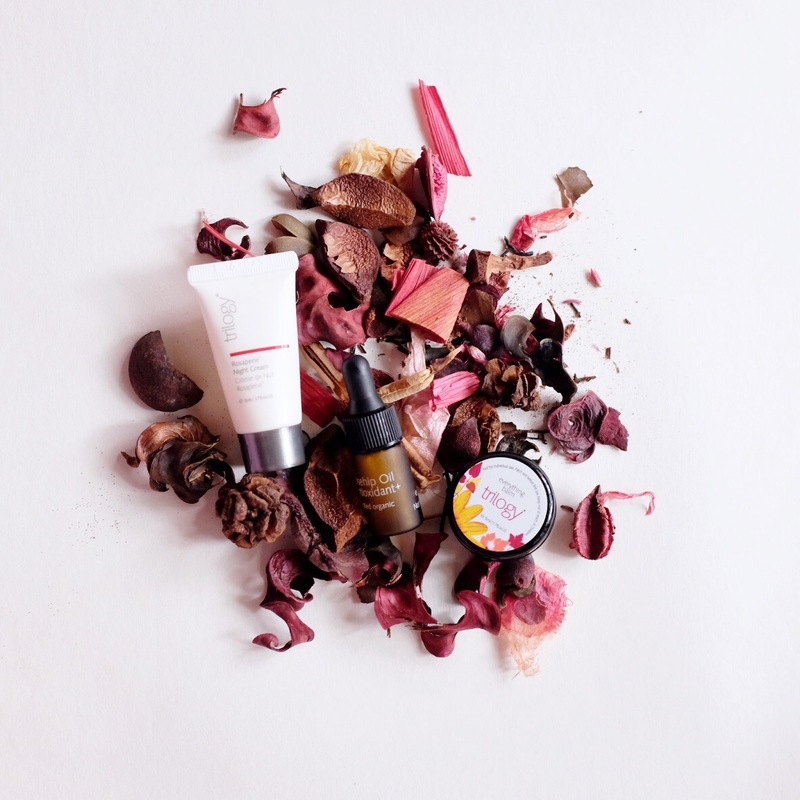 It feels hydrating also your skin appear to be even more supple. If that even possible after the rosehip oil. As for the Trilogy Cream Cleanser it’s a basic cream cleanser that is nice to use in the morning or as light second cleanser. This basically feels like the Rosapene cream only it’s a cleanser! If you leave it on for couple of minutes it feels like it disappear into your skin. I’m unsure about this one though. But the Trilogy Everything Balm, that one I truly love. I will review this separately in another post. Wah gue baru tau blog loe, ke mana aja gue ya. But why do you still write for inilah dot kom? Lol. I still use Antioxidant+. Actually, you should also try Burt’s Bees Repair Serum if you get a chance. It’s a bit similar (granted, lots of similar items in the list); I think it’s a bit more hydrating compared to Antioxidant+. But the bottle is a hassle compared to Trilogy’s. I’ve also tried a lip balm from Trilogy, one time it was bundled with the oil, it was ok but I prefer the stick balm. The Everything Balm is on my list to try, especially now that the AU$ is friendly. Len it’s been around for ages and thanks to you for recommending me the Trilogy oil. BTW you gave me that Burt’s Bees oil ages ago and I love it! This blog was in hiatus when I worked for FD.